Apple has not been left behind in the move toward the smart home. The iPhone is fully prepared to help you control lights, locks, and whatever else your heart may desire. Seem a little like you’re experiencing the future? Well, with all of the great things your iPhone can do, that may not be too far from the case. The dedicated Home app that comes with iOS 10 is all about managing HomeKit accessories, which fit into a broader tech trend of connecting devices just about everywhere known as the Internet of Things (IoT). 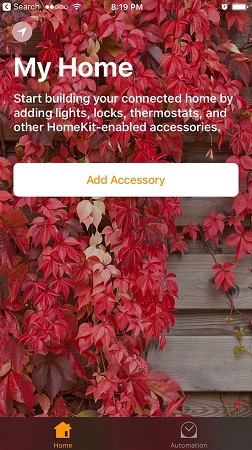 HomeKit is Apple’s framework for such IoT accessories in and around the house. This means door locks, lightbulbs, thermostats, and various other products. If you have an Apple TV, you can use it as the hub for your Home-enabled accessories. To start, tap the Home app, and add any compatible HomeKit devices you have in your abode.